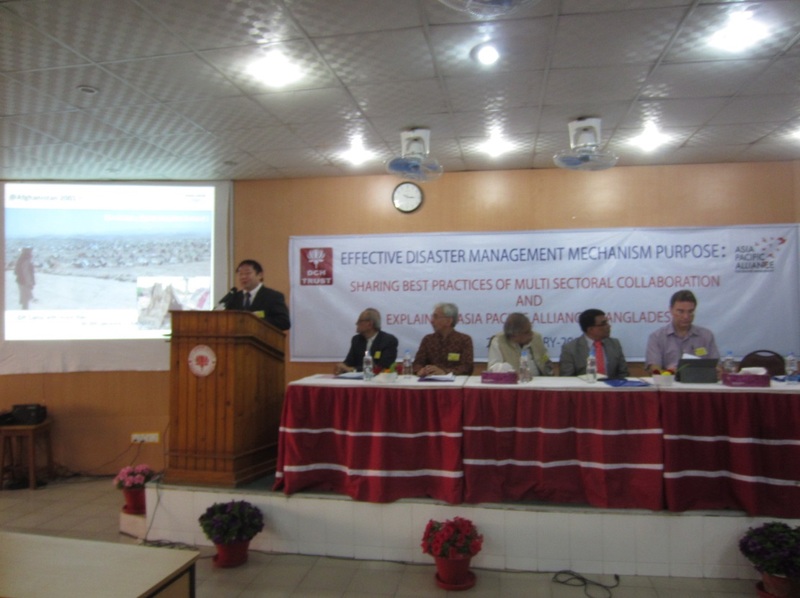 Asia Pacific Alliance for Disaster Management in cooperation with Dhaka Community Hospital Trust (DCH Trust) organized a conference entitled “Effective Disaster Management Mechanism: Sharing best practices of multi-sector collaboration” which was held in Dhaka Community Medical College on February 23, 2014. The event was attended by more than 70 participants from the Bangladesh government, local businesses, media, civil society, academic institutions and other private organizations. 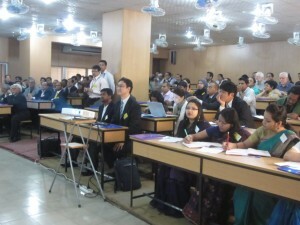 There were 4 sessions conducted at the one-day conference: 1. The role of the private sector in Disaster management; 2.?Sustainable disaster management and community participation before, during, and after a disaster; 3. Effect of Environment and Climate Change;? 4. Recommendations for future action on Sustainable disaster management and community participation. From the APADM Management Office, CEO Kensuke Onishi made opening remarks while Chairperson Faisal Djalal shared the experience of founding the Indonesia National Platform PLANAS during the second session and ended the conference with closing remarks. APADM Senior Coordinator Masataka Uo spoke during the fourth session to introduce APADM’s strategies and functions. Civic Force Acting Executive Director Megumi Kuwana also spoke about the successes and challenges of the Japan Platform during the second session and Masaharu Saito shared Peace Winds Japan’s experience in working with the private sector after the Great East Japan?Earthquake. In addition, Consortium of Humanitarian Agencies’ (CHA) Deputy Executive Director Firzan Hashim presented CHA’s plans and strategies for developing the Sri Lanka National Platform. Other key speakers from Samutthan Foundation (India), Mercy Malaysia, Tohoku University (Japan), Bangladesh government officials from the Department of Disaster Management and Relief and other agencies, DCH Trusts’ Chairman Prof Quazi Quamruzzaman, and Coordinator Mahmuder Rahman also addressed the conference. Participants were able to interact during the tea breaks and put forward questions for the speakers during the discussions. The conference was a stepping stone towards conceptualizing the creation of the Bangladesh National Platform, with DCH Trust taking the lead. 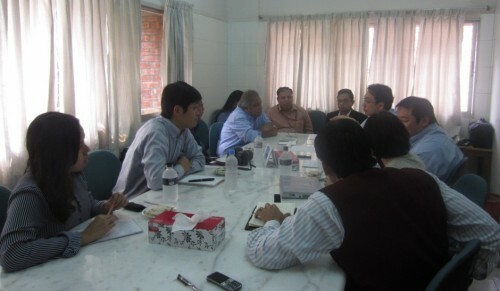 The following day, APADM sat down with DCH Trust Chairman Professor Quazi Quamruzzaman and his staff to discuss the potential of getting local businesses and private organizations together to form the Bangladesh National Platform. DCH Trust has agreed to lead this process and report on its progress in 6 months. Bangladesh is the first country outside of the 5 founding members that APADM hopes to involve in the Alliance.